For some reason, I always think I’m going to have time to catch up on things in the next season. Then that season rolls around and it seems like it’s the busiest one yet. With fall we started the school routine back up and along with school comes all the other activities that go along with it from swim lessons to soccer practice. I often have healthy snacks prepared for in between to hold them over but I often love to provide them with treats that I know they love. 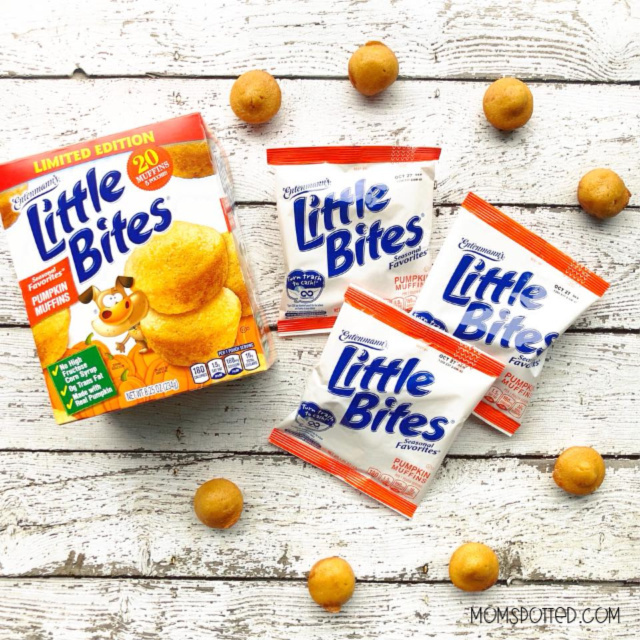 Entenmann’s Little Bites Muffins are one of their favorite on-the-go snacks. Entenmann’s Little Bites Muffins come in all different flavors. Little Bites® Party Cakes are Sawyer’s year-round favorite but right now we’re grabbing all the Little Bites® Pumpkin Muffins we can find! They are available everywhere you normally grab your favorite Entenmann’s Little Bites. Now, when I sip my pumpkin spice coffee during all our favorite fall activities like corn mazes and pumpkin picking, I can provide some pumpkin muffins for the boys as a job well done. The convenient, pre-portioned pouches make it easy to stash them in the car, your soccer bag, or even their lunch box. Entenmann’s Little Bites Muffins are always baked soft and made with real ingredients. The new seasonal pumpkin muffins use real pumpkin! Plus, with only 180 calories per pouch, Little Bites® Pumpkin Muffins never contain high fructose corn syrup or trans-fat! They are a win-win snack in my mom book if you ask me. From September 1 to December 31, TerraCycle is kicking off the new school year with a huge giveaway with Entenmann’s Little Bites. By saving all the Little Bites wrappers from your kid’s muffins you could win! The grand prize winner will be awarded 50 boxes of Little Bites®, four custom collection bins, $500 in TerraCycle points and more! 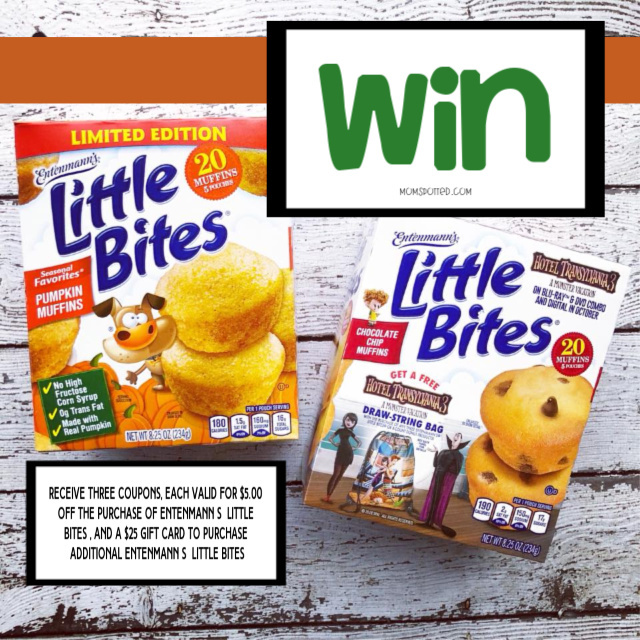 More information about the Entenmann’s® Little Bites® and TerraCycle contest can be found here. 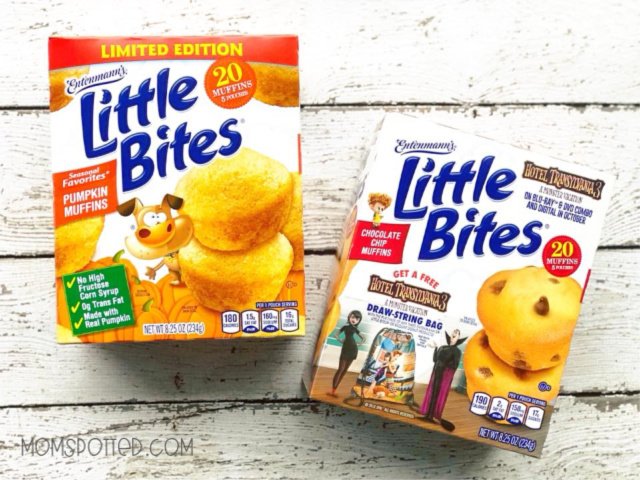 Right now (1) Mom Spotted reader has the opportunity to win (1) Entenmann’s Prize Pack consisting of a $25 VISA digital gift card & (3) Coupons for Free muffins. To enter use the Rafflecopter form below. Good Luck! Contest ends 10.22.18 at 11:59 pm. For Official Giveaway Rules click here. U.S. Residents only. My daughter eats these all the time! The chocolate chip bites are her favorite! Everyone in my family eats our Little Bites. We all love them! We love the new pumpkin flavored ones. I am the one who eats all the little bites around here! My grandsons and I eat them. My youngest son eats all the Entenmann’s Little Bites because he just loves Little Bites so much! He especially enjoys having the Blueberry and or Chocolate Chip muffins for snack at school. Thank you for this wonderful giveaway! Everyone eats Little Bites. We like the fudge brownie flavor best. 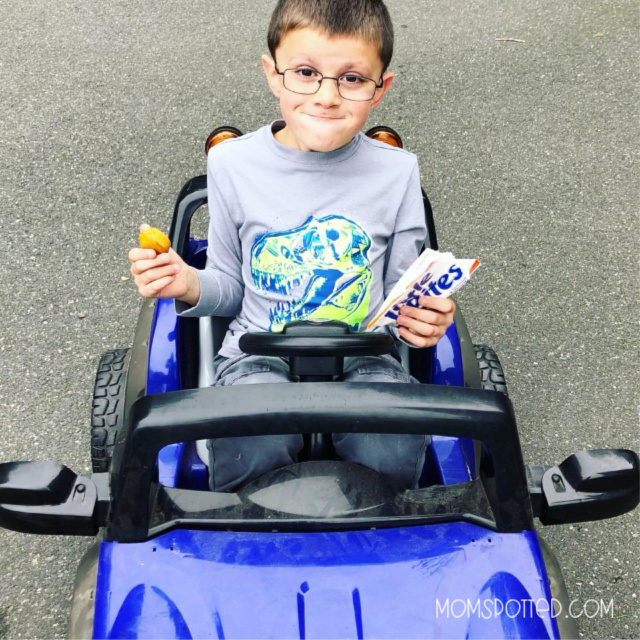 My grandsons eat the Entenmann’s® Little Bites® in our house! Everyone eats Entenmann’s Little Bites in my house. We would all eat the Entenmann’s muffins in our house. I have to say that Mica would eat the most! He’s growing! My kids love the Entenmann’s Little Bites! They never last long in my house. I actually eat all the Little Bites! I cannot resist! We buy them for the kids, but because they are so conveniently packaged, I regularly grab a pouch to take to work. I eat them all! I have such a sweet tooth. I eat all the Entenmann’s Little Bites in my house, I’m afraid. Thanks for the giveaway! EVERYONE eats them. I like having the crumb cakes with my morning coffee. I eat them and so does my husband. Me!!! I love entenmann!!! I eat it all the time! The entire family gorges on them..
Dad loves little bites in our house and I love the blueberry ones. Who doesn’t love them? I have to buy at least 3 boxes everytime! My family loves every flavor! Me and my guy! I love the brownie bites and he likes the ones with cinnamon. My hubby and I both love them! The chocolate chip is our favorite! I think I eat all the Entenmann’s little bites. They’re all so delicious! Well, in my house, the person who gets to the Little Bites first is usually the one who eats them all, lol. Okay, often it’s me! All of us love them in our house. Nobody in my house eats these presently. My husband….lol Our kids love them too. Everyone! I have to hide them or they disappear in a minute. I eat most of them. My daughter tends to be the one that eats them, however, when the seasonal Snickerddole hits the shelves, it definitly becomes me. My son eats the most. Wow we love the entire Entenmanns line, especially the Little Bites. The blueberry are my favorite. My daughter likes them the most, but we all eat them! We all eat them! My grandkids especially love them. Gosh, the whole family eats all of the Entenmanns Little Bites! We all enjoy Entenmann’s Little Bites! They make a great snack for on the go. My family loves Entenmann’s Little Bites. They like the blueberry best. It is pretty much a tie between my 7 and 9 year old. I’m the one who eats them more regularly especially for breakfast. I love the blueberry muffin little bites! We all eat Entenmanns at this house. My favorite is the Snickerdoodle flavor, but I definitely want to try the Pumpkin. My son and I both love to eat them! My favorite are the chocolate chip mini muffins and brownie bites, while his are the blueberry mini muffins and pumpkin mini muffins. I’m the only one who eats them. I’m the only person in my home so I;m the one who eats them. My whole family enjoys Entenmann’s Little Bites. I love the Blueberry flavor Little Bites the most of all the fine selections available.